“Break hearts, not the bank!” is Glamour Dolls’ motto. 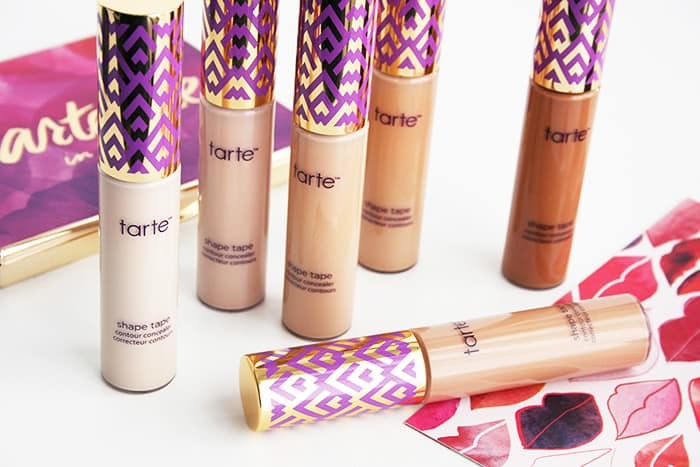 The makeup brand offers very inexpensive eye and lip products, which is why I hesitated when they offered me to try out their products. You guys know how much I love green products! 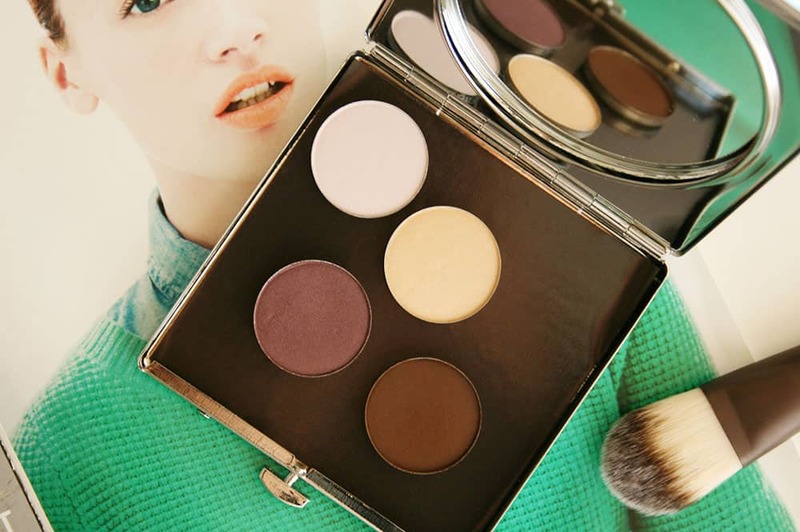 You also know that I seek cruelty-free makeup that’s good quality no matter the price tag. With their lipsticks under $3, I decided to give Glamour Dolls a shot. Keeping all of this in mind, here’s my honest review, featuring both the good and bad. 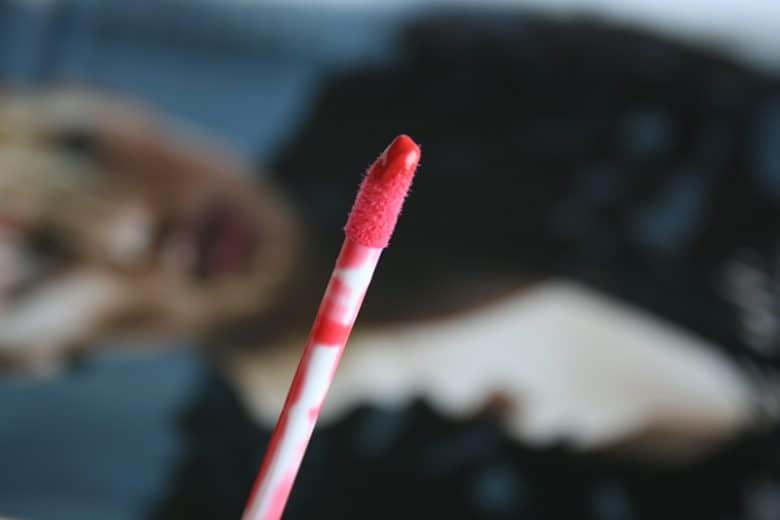 Let’s start with the lip glosses, which are both non-sticky and have a little doe foot applicator. 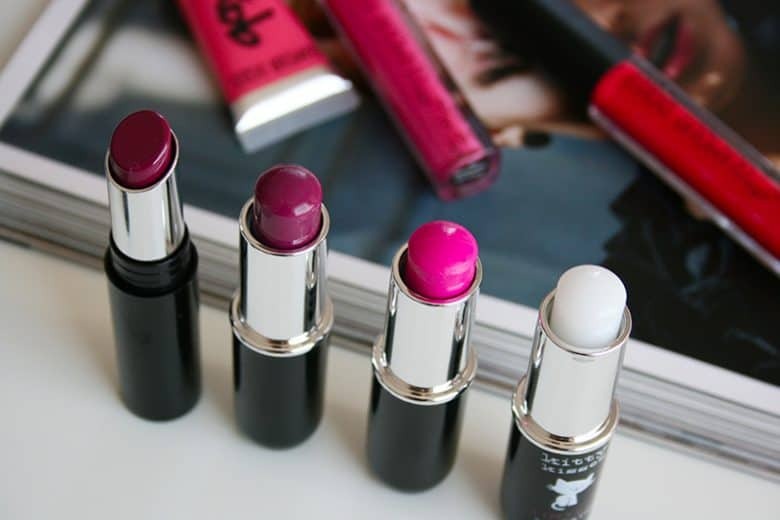 Superficial doesn’t have much pigment, and you can top any lipstick without much change in color. Wildflower however is more like a full-on glossy liquid lipstick and shows completely opaque. It’s a deep orangy coral color, really pretty for Spring. 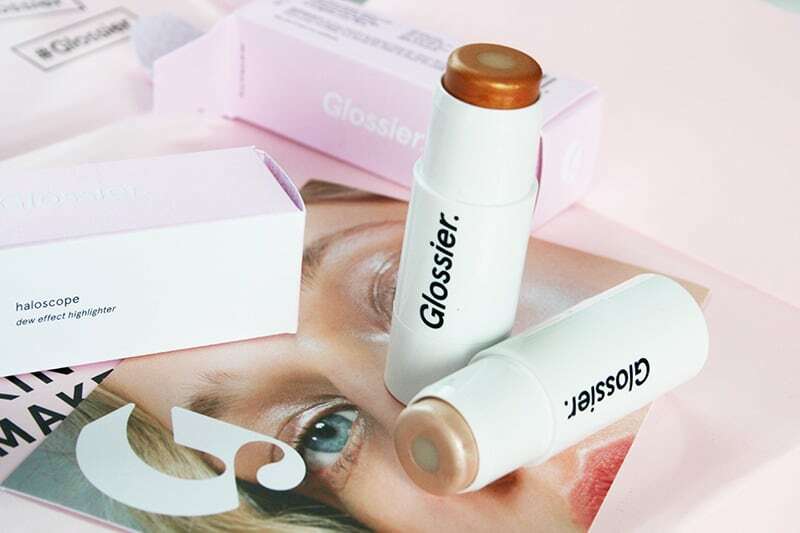 The Gloss Snob is a tad glossier and stickier. Single Summers is a pretty pinky coral color, but hard to get an even application. Let’s move on to the lipstick and lip balms, which I’m not very fond of. The lipstick I’ve tried (in the shade Karma) has okay pigmentation, but it’s not as pigmented as a lipstick should be. My favorite thing about it was the creamy texture, which won’t dry out your lips. The Kitty Kisses lip balms come in a super cute packaging, and they feel equally moisturizing on the lips. They have a bit of color, especially that pink shade (called Check Meowt) which makes your lips pretty damn pink. 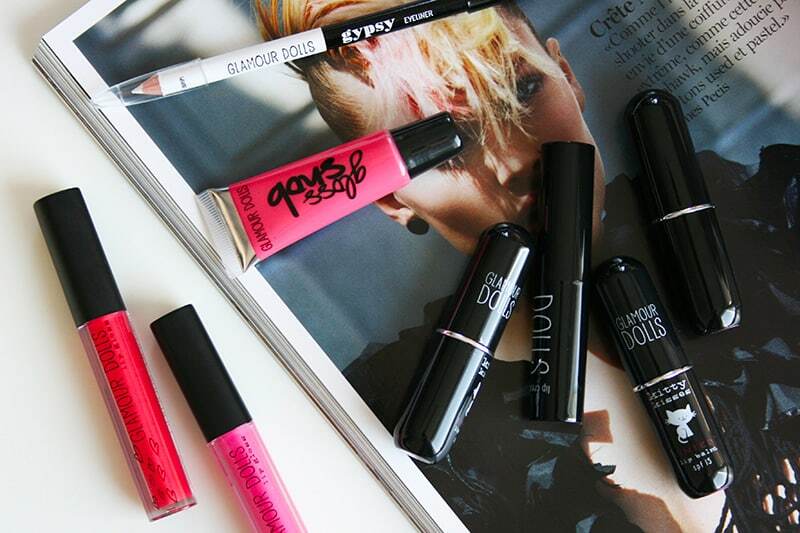 Now, these are inexpensive lip products. In terms of quality, you get exactly what you pay for. I don’t have the ingredients for you because they were printed on the plastic packaging which I ripped off, but those were some pretty long ingredients lists. What I can tell you is that these lipsticks and balms have a strong plasticky smell which I found really off-putting. They felt uncomfortable on my lips, and I could not keep them on. I’m not going to lie, guys. This stuff is cheap. Like, Dollar Store cheap. Even for $2.99, there are better lipsticks out there. I’m never going to endorse a bad product only because it’s cruelty-free. Like I said, the packaging is cute (albeit flimsy). 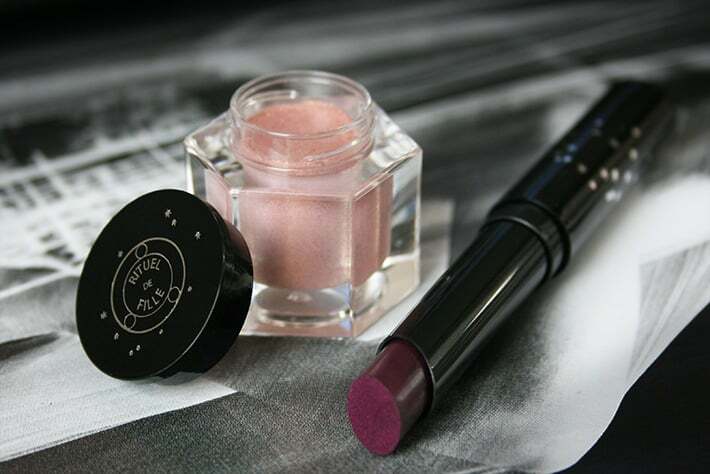 The lipsticks and balms have a creamy vaseline-like texture, which isn’t drying. Unfortunately, I can’t recommend these.